Welcome to a very special installment of General Medicine! This time I will not be treating a patient like I usually do. 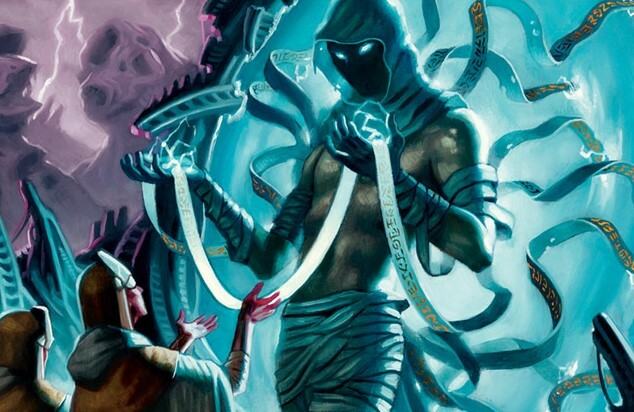 Instead, I’m going to give all you readers an expanded guide for deck submissions, as well as some pointers for deck building and using EDHREC in general. Stick around, because there will be plenty of learning for all! Before we get to anything else, let me preface everything I have to say with one statement: I am deeply humbled by all the response this series has gathered over these past few months. It’s been a while since I last did a headcount, but if we were to presume that the reader submissions stops today, and nobody else ever sent me in anything else to write about, it would be literal years before I’d run out of material. I sincerely thank all of you who have been so kind to send in all your cool deck ideas, and it’s been a true pleasure to look at and read about all your cool brews! I’m sorry I haven’t been able to get back to all of you yet, I’m slowly working my way through the inbox, and I want to make sure that we have conversations, instead of just sending out form letters. This series is a lot of fun to write, and I honestly enjoy helping you with your decks. This article, in short, will allow you all to help me help you, so that we may keep this series going for as long as possible! Below is my step-by-step-guide to send me decks for doctoring, and other general tips from General Medicine. In essence, this is everything you need to do. However, beyond the bare basics, there’s a lot of stuff you could do in order to attract my attention and dramatically increase the odds of me choosing your deck to be featured here. By doing this, you would also be giving me more tools to work with in my brewing, meaning your deck gets even better, and the article will be better – everyone wins! The most important step in any journey is the first, and that’s true for this process as well. 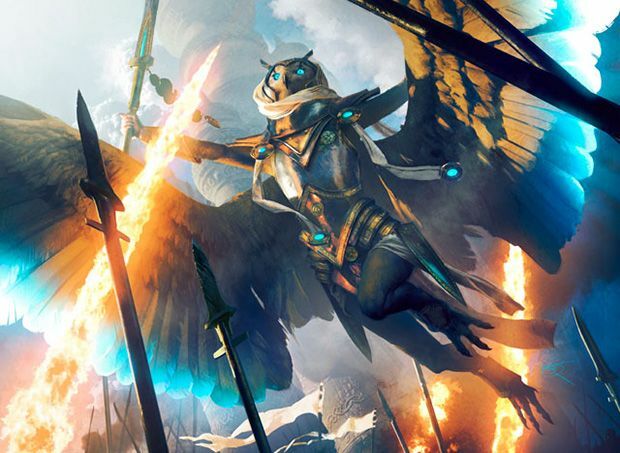 I look at all the decks sent in to this column by my readers, and while some decks are obviously quite powerful, they don’t stand out enough to be noticed. 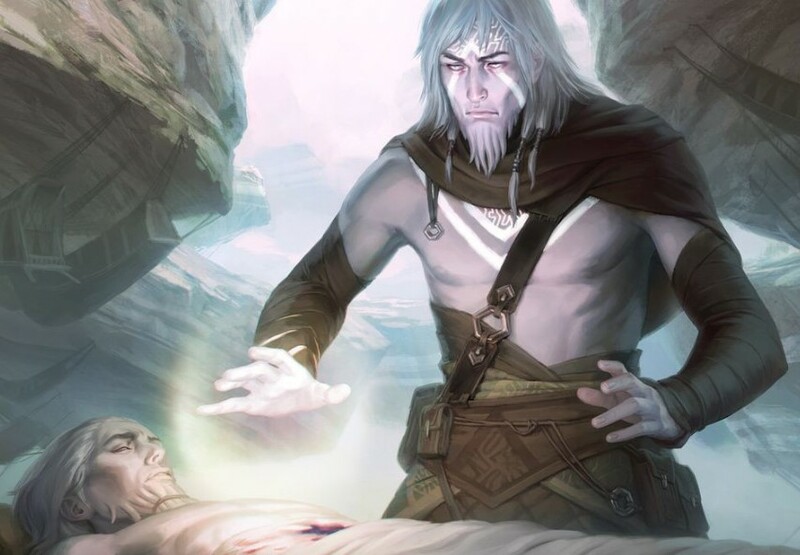 If you send me a Rafiq of the Many deck that is geared towards playing the commander as soon as possible, slab whatever equipment you’ve happened to draw onto him, and go to town on your opponents, I will be a lot less likely to feature your deck than if the Rafiq of the Many deck was a, say, Human tribal deck. Interesting, unique deck concepts with commanders you might not see every day are more likely to be picked up. That said, any deck can be featured on this column, depending on the following steps. 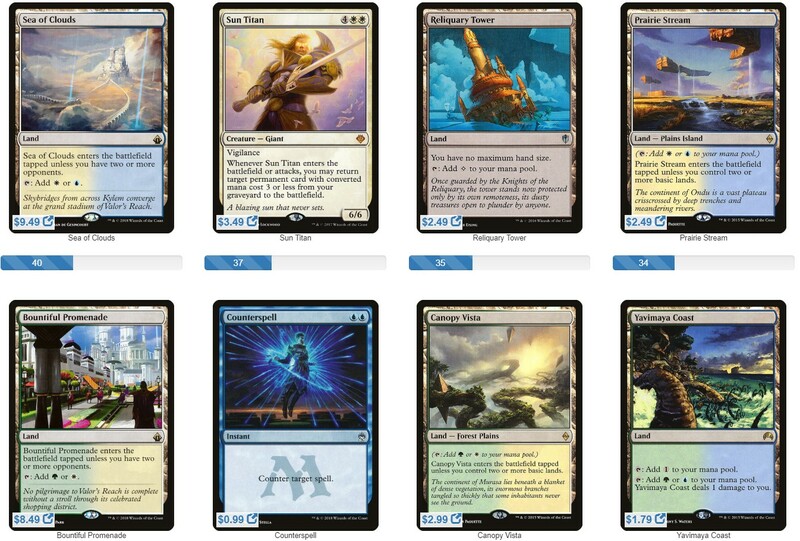 Another disclaimer is in order: I do not believe that there is such a thing as a truly “solved” commander deck. This format that is so, so high on variance, with local nuances, different metas, group politics, playstyles, etc. It’s simply impossible to properly identify an optimal 100 cards to play, even in a vacuum. 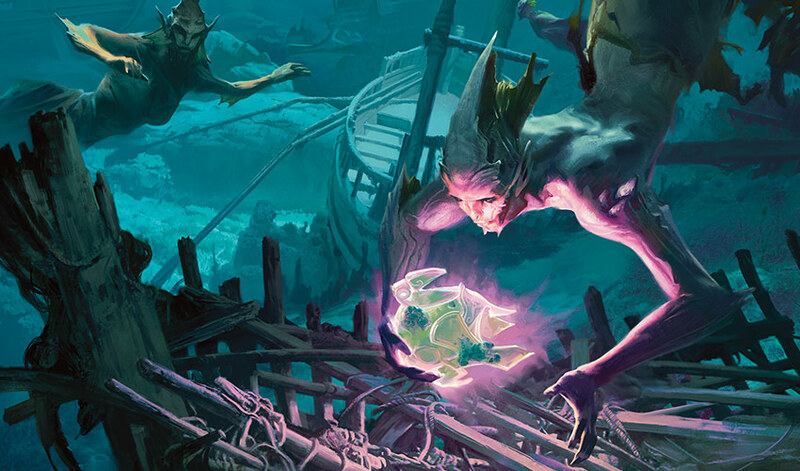 That said, there are plenty of ways to identify a deck that is nearing a “finished” state (again, not that it is practically possible) compared to a newer brew. If your deck is an awesomely powerful, fine-tuned deck that you have been playing for some time and just want to show off – feel free to send it to me! But I probably won’t be able to feature your deck list on my column, because if there’s nothing to tinker with, there’s nothing I can do. If, on the other hand, you have a pretty new brew, or a deck where you’ve identified an issue you can’t resolve yourself, send it my way and make sure to say so in your e-mail! Is the deck losing too much to board wipes? Are you having troubles finishing the game after establishing board control? Are you losing to creature-based strategies? The illnesses that can strike our EDH decks are plentiful, but for each illness there is also a remedy. A good thing to consider doing before sending a list is to input your deck into this site before doing anything else! It’s really easy – just click on the ‘Recs‘ button on the top bar, type in your commander, and paste your decklist. Hit ‘Submit’ and watch in awe as EDHREC.com suggests dozens of additions to your deck! However, it’s always a good idea to take any suggestion automatically generated with a grain of salt, since the site might not pick up on what specific strategies you’re trying to implement. To demonstrate what I mean, I’m going to use one of my own decks and input it into the EDHREC ‘Recs’ function. This is my take on Derevi, Empyrial Tactician: Derevi’s Quixoticelixer (link goes to deckstats.net). At first glance, this deck might look a bit schizophrenic in its design. There is a bit of sacrifice utility in there (Martyr’s Cause, High Market, Helm of Possession), some token stuff (Skullclamp, Squirrel Nest, Luminarch Ascension), some Wizard tribal (Azami, Lady of Scrolls, Galecaster Colossus, Voidmage Prodigy), and it’s all finished off with a bit of Voltron flavor (Sword of Feast and Famine, Conqueror’s Flail). In short, the deck’s strategy is to take full advantage of all of Derevi, Empyrial Tactician’s qualities at all points of the game. This makes for an apparently disparate strategy, but in practice, it’s a pretty solid build – the various themes blend into each other well, and it makes for a fun experience playing the deck. A number of lands, Counterspell and Sun Titan are the top recommended cards to add, and while they are both perfectly fine cards in almost any Derevi, Empyrial Tactician, I wouldn’t consider either for inclusion. Counterspell is fine, but the role of countermagic is already played by cards that are either cheaper (Swan Song, Force of Will), or have more utility (Cryptic Command). Similarly, Sun Titan is an awesome card, but at six mana it’s pretty expensive and I’m trying to keep the mana curve low. Bloom Tender would be an amazing addition to my deck, though the price tag has kept me from adding it thus far. Birthing Pod is a pretty dang good addition too, and I think I will try to cut something for it, as a testament to this site’s brilliance! Following those, however, are a bunch of cards that I don’t really want to add. The stax components of Winter Orb etc., expensive ramp spells like Gilded Lotus, blink cards like Venser, the Sojourner, and so on. All perfectly fine cards in many Derevi, Empyrial Tactician lists, but none will be added to mine since they don’t fit my theme. My point with all of this is to say that while my deck might be nowhere near “finished,” I’m not getting that much help from the automatic function. The top card of my “maybeboard”, Willbreaker, is way further down the list of cards to consider, since my deck is a bit different to many other Derevi, Empyrial Tactician decks. EDHREC.com delivers data, but to understand that data we need proper context. In essence, a deck like this could very well be a good candidate for this series, even if it’s doing quite well as-is. Another disclaimer is in order: the only thing you actually definitely need to send me in order to be featured on this column, in theory, is a decklist or a link to a decklist. In practice, a well-written email with some thought put into it will make it a lot more likely that I notice it. Consider the bullet list in the opening of this article carefully; make sure you’ve addressed most or all of the points. Before pressing ‘Send,’ ask yourself the following question: Why are you sending me this deck? Is it because you think it’s a cool brew that crushes your local metagame? Is it because you like the deck, but can’t find cards to cut? Is it because it’s an old work horse deck that needs updating? Is the deck doing cool things but having issues finishing the game? All of these are perfectly fine reasons to submit a deck, but the latter three reasons are more likely to help the deck get picked up for review. In general, it’s difficult to write emails that are too long. I sometimes get emails where the submitter apologizes for typing such a long message, but that is completely fine. It’s better to write a long email and make me do some reading than to write a short email and not cover the basics of the bullet points. All bits of information are useful to me. Are there any cards you’ve specifically decided not to include? If so, which and why? Are there restrictions of cards available to you other than budgetary reasons? Are there a specific type or kind of cards you’re looking to add? In short – the more information you provide me, the more tools I have to work with, the better the article! If I select your deck for doctoring, I will let you know by responding to the email you used for submission. Oftentimes I’ll have a question or two for additional information. The article is usually posted about a week after that, and when it is, feel free to use any and all social media you normally use to spread the word of your article. Surely you’ll want to show off your deck! Don’t forget to interact with other readers in each article’s Comments Section. Often other folks will discuss additional suggestions, which means you get even more value! As usual, see below for instructions on how to submit your decks for General Medicine. I look forward to seeing your brews!